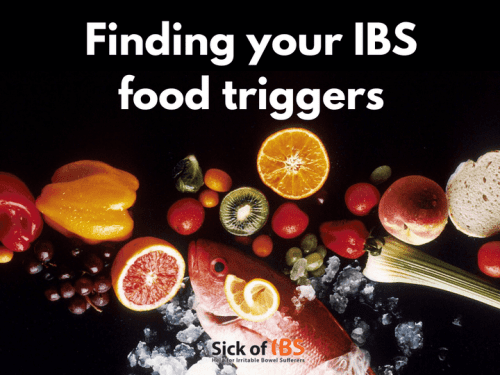 Finding your IBS trigger foods can be a long and complicated process. This gives your body the maximum chance of absorbing the nutrients you need, even if your digestion is sluggish. You need to make a list of some foods that you CAN eat and do not cause you digestive problems. It doesn’t have to be a long or exhaustive list. It should include some warm nutritious meals like a few particular dishes you manage okay, and some cooked veg (as these are generally easier to digest) along with some simple warm or room-temperature drinks.The ideal list would have a minimum of 3 breakfasts, 3 lunches that you can eat at home or at work, 3 snacks and 3 dinners, and associated drinks. By mixing and matching you will have a week’s worth of menus you can digest. Why? Well when you start having a flare-up, it is difficult to think straight. It is easier to reach for rich foods you crave and that keep your flare-up going, rather than remembering what your body needs to get digestion back on the rails. Having that list handy reminds you or family members what you need. If you are new to IBS, start off by trying to hear what your body is telling you. You probably have a natural aversion to foods you find difficult to digest. Or reflux with the taste of these. Make a conscious effort to look out for what you digest badly. Try to make a note of these IBS trigger foods and avoid them for a while. You may well find that small portions of some foods are fine, but if you increase the serving size or eat for the sake of finishing, then your body fights back. I found, for example, that I could eat 4 strawberries but I didn’t fancy any more. If I continued eating them, I would have bad digestion. This may seem strange, but it is in fact very logical. I had gone over my tolerance threshold for fructose for that meal, or that day. Your body may well let you eat small amounts of favorite foods, as long as you don’t accumulate them with other triggers. If you continue eating trigger foods regularly, your digestion cannot improve. You will need to take them out of your diet for a few weeks to let your digestive tract recover. The term FODMAPS refers to a group of sugars that are not easily digested and that ferment in the colon, causing bloating and gas. 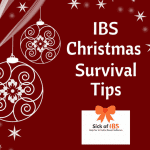 You may find the low FODMAPS food lists a helpful guide of the foods that are best tolerated by IBS sufferers. Again, serving quantities make a difference, so do be aware of this.There are several apps available (free and paid) that can guide you as to what foods to avoid. One of the major references is the Monash app. More on FODMAPS in a future post. It is not always easy to find substitute products, but essential for your long-term health. This takes time but it is worth the effort. Example: I am lactose intolerant. I drink mineral water that is naturally rich in calcium and magnesium as I cannot digest food supplements. I eat more unprocessed hard cheese to compensate (grated and grilled, pieces in a salad or to nibble on). I try to have yogurt as one dessert per day (2 gets too boring for me). 8) Cut back on processed foods. Processed foods are know to be common IBS trigger foods. Most of us are eating too many processed foods, as they are cheap, quick and available everywhere. Processed foods are generally not very rich in the nutrients we need, and you may well find you are reacting to certain ingredients, including preservatives, artificial colors and flavors and maybe yeast. 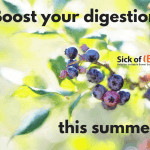 This shouldn’t stop you enjoying processed foods occasionally (I still enjoy a KFC or burger out) but if they are on the menu too often they are probably seriously hampering your digestion and making your IBS flare up. 9) Try avoiding frozen foods – even ones you cooked and froze yourself. I find these trigger me, even if properly frozen and reheated. 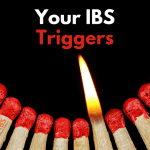 I do not really know why this is the case, but I have read that many other IBS sufferers have the same problem.This may not be the case for you, but it is worth checking this out.